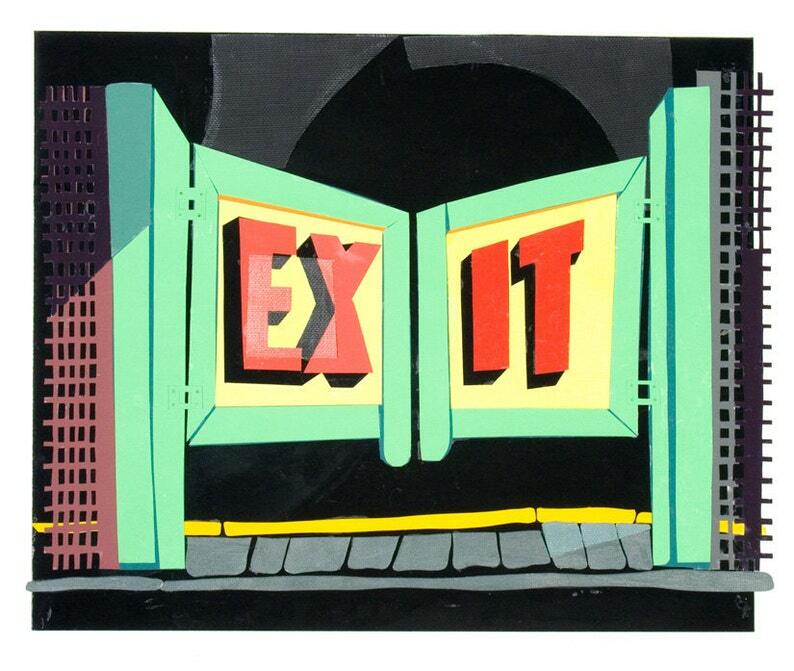 A souvenir from my "American-Dream-Land" series; an 8.5 x 11 inch quality color laser reproduction of my original 2007 cut paper & painted canvas collage titled EXIT ; the dimensions of the original art are 17 X 17 inches. the wall either as one or in a group. EXIT is actually a portrait of the glorious historic Tornado Roller Coaster's swinging exit doors which faced the street. The Tornado was burned to the ground in a fire circa 1976. But ..... I'm a believer that every EXIT is also an ENTRANCE. This image is also included in my CONEY ISLAND ART PENDANT collection. Another wonderful print of a cut paper original! This image is SO fixed in my memory, and it's so much fun to see it materialized. I love the man helping to steer the car, and the sparks at the top! Wonderful print of the cut paper original! Upon request, Philomena even sent (via email) a copy of the beautiful story behind this creation. The story adds another level of appreciation for this work, making it something truly special. Thank you, Philomena! It is the fastest and most secure way to make online purchases. You may also pay by credit card through PayPal without a PayPal account. Simply choose your preferred credit card at the PayPal website when checking out and you are good to go! Items will be shipped within a few days once payment has been received. I hope that you will be delighted with your purchase, but if not, I will give you a refund (minus shipping cost ) after I have received the item back in its original condition. Items will be shipped USPS first class with tracking. Shipment to international locations will be sent USPS First Class International with delivery times dependent on the country. For peace of mind I can arrange at an extra cost items to be sent fully tracked and signed for upon delivery. Please contact me for details and I will provide a quote. I will contact you via Etsy email once your item has been dispatched. I am not responsible for items lost or damaged in transit. Buyers are responsible for any customs charges incurred.